UFO SIGHTINGS DAILY: US Government Plane Records UFO At Puerto Rico Airport, Leaked Video! 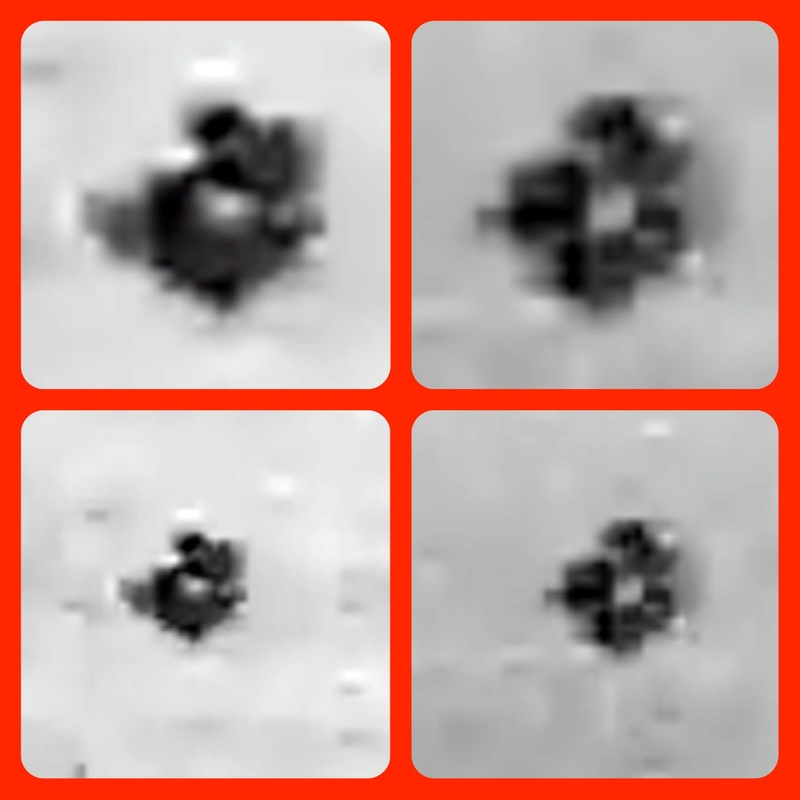 Aug 2015, UFO Sighting News. US Government Plane Records UFO At Puerto Rico Airport, Leaked Video! Aug 2015, UFO Sighting News. This is a fantastic capture of a UFO. 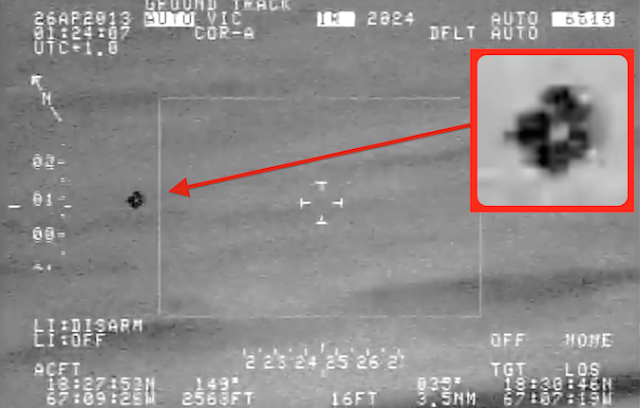 I often say that infrared cameras will reveal cloaked UFOs and here we are with an confirmed UFO by US government aircraft and a massive report to boot. The UFO is seen for almost 3 minutes and followed closely, cloaking off and on along the way. At 2:57 the UFO is recorded diving into the water and not returning. From the screenshots I can tell you, this object 100% alien tech. The UFO is rotating slowly, about one time per 5 seconds, which gives us a nice view from different angles. It is an unmanned drone. It looks to be about the size of a motorcycle, and the report confirms this by stating, "it was about 3 to 5 feet in length and its speed varied between 40 to 120 mph." On April 25, 2013, at about 9:20 pm local time, an unknown object at low altitude flew directly across Rafael Hernandez airport runway at Aguadilla, Puerto Rico, causing a delayed departure of a commercial aircraft. There was no squawking transponder signal to alert the aircraft tower, nor was there any communication with the tower to prevent a dangerous situation with departing and arriving aircraft. 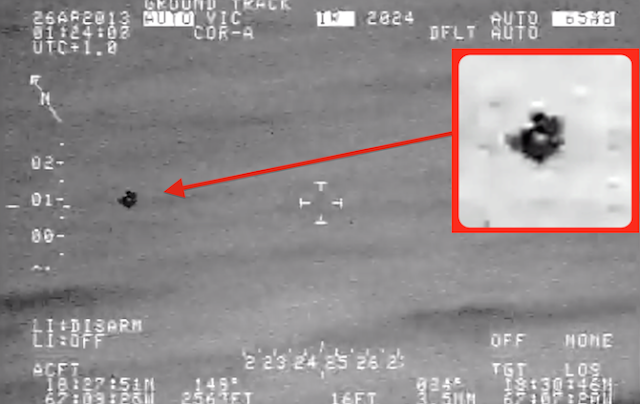 Fortunately an airborne US Customs and Boarder Protection aircraft captured the object on infrared video. An original copy of a thermal video was obtained from an official source on October 0th of 2013. The source of this video evidence was vetted and identified. The source wishes to remain completely anonymous to ensure no issues arise with the sources employers. The individuals’ occupation, address, and background history were verified by the authors of this report as legitimate. The three minute video detailed the flight of an unknown object that crossed into northwestern Puerto Rico from the Atlantic Ocean, traversed the Rafael Hernandez airport two times, and returned into the Atlantic Ocean where it appeared to receptively submerge. (more at source).